Celebrating Connect Charter School – CONNECT! New Year’s Day 2014 will have special significance as Connect Charter School officially replaces Calgary Science School as the name of our school. This will be the third time the name of the school has been changed and the name change reflects its ongoing evolution. Originally when the charter school received approval in 1999, through an application by the Science Alberta Foundation, the school was known as the Science Alberta School. The belief by the founding members was that there was a need for a charter school which fostered cross-curricular learning with an emphasis on the scientific method, research, inquiry and the enhancement of learning and teaching through the use of technology. In 2003, in recognition of its growing independence and the shift from being an extension of the Science Alberta Foundation, the name of the school was changed to the Calgary Science School. 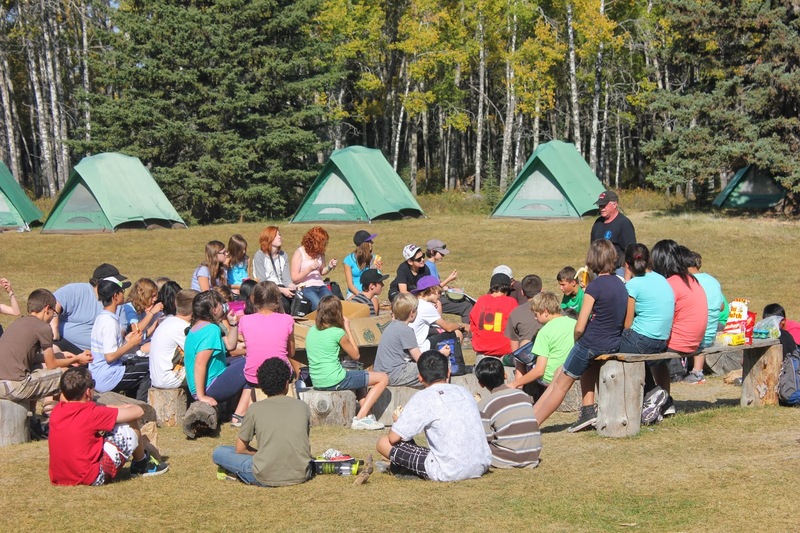 Through the years, although there continued to be an emphasis on learning through inquiry and research with the enhancement of learning and teaching through the ubiquitous use of technology and the one-on-one laptop program, students were provided opportunities for authentic learning experiences beyond the classroom, through a rich variety of outdoor education experiences. As well, learning was made more meaningful through reorganizing social studies and language arts as the humanities and enriching the school program through the development of specialized learning experiences in art, drama, dance, music, band, physical education and a variety of electives. Clearly, the school had become much more than a science school; although there continued to be a strong foundation of science, technology and mathematics. Members of the Calgary Science School community began to describe the school as much more than a science school and to make reference to the shift emphasizing the science of learning in everything that takes place in the school. Collaboration is seen as a “hallmark” of the relationships in the Calgary Science School community and particularly within the professional learning experiences of the staff. Staff members are encouraged to be producers of professional learning through “co-creating, co-labouring, co-teaching and co-reflecting”. Calgary Science School is a very positive, engaging and focused school community. All stakeholders are learners and work in collaborative ways within this caring school culture. As the collaboration yields results for enhanced teaching practice and improved student learning, there is an excitement to share the “good news”. Authentic inquiry leads to results, which the learners want to share. This exciting good work has placed Calgary Science School at the center of many innovative approaches to learning, leading and transforming. Describing Calgary Science School as a “hub” of the science of learning and exemplary teaching practices is not only well founded; it is well deserved. In response to the changes in the renewal process regulations for charter schools announced in April 2012, the Calgary Science School Board of Directors and administration began a process of preparing a proposal for a 15-year charter renewal. The proposal incorporated the input generated through a process of consultation and open dialogue involving students, parents and community members in reflecting on the original charter guiding principles and goals and articulating a new vision for the school. The proposal incorporated the very positive feedback that was generated through the Alberta Education school evaluation. As well, key ideas from Inspiring Education including the emphasis on providing opportunities for every student to experience success as engaged thinkers and ethical citizens with an entrepreneurial spirit, were incorporated in the process of articulating guiding principles, a vision and mission, and goals for the school for the next 15 years. The approval by the Minister of Education, the Hon. Jeff Johnson, for a new 15 year charter (2012 – 2027) for the school represents a very significant milestone in the history of the school. In reflecting on the vision of the Board of Directors strategic plan to lead, share and transform and the challenges of setting a new direction for the school in keeping with the new charter goals, there was renewed discussion about the name of the school and whether the Calgary Science School adequately and appropriately reflected the changing context and evolving vision for learning teaching and leading in the school. A number of possibilities for a new name were considered and rejected. It was recognized that the Calgary Science School had an excellent reputation and there was, “strong brand recognition” associated with the name. Connecting through collaboration in the classroom, throughout the school and beyond. It was felt that the new name accurately reflected what is experienced in the school every day and Connect Charter School effectively tells the new story of the school and the addition of the word charter defines our unique role in public education in Alberta. For students, we stress the importance of making connections between their learning and the real world, staying connected to the environment and realizing that our culture of collaboration and mutual respect is based on everyone having strong connections to the people they are learning with and from. Teachers are tasked with connecting ideas across curricula, ensuring they are connected to their colleagues through collaboration and that we are building a network of connected educators across the province and beyond who are working to build greater capacity for learning, teaching and leading through a disposition of inquiry. Our parents recognize the need to be connected to their children’s learning and that connecting with other members of our school community is vital, particularly because we are not a traditional community school. We believe that Connect appropriately describes our emphasis, in keeping with our mandate as a charter school, on promoting collaboration, developing exemplary and innovative practices in learning, teaching and leadership and providing opportunities to connect with colleagues in education and to learn together and learn from each other. On January 1, 2014 we will celebrate the official new name of the school – Connect Charter School and we will begin the process of using the new name to make meaning of our new vision and new directions as we continue to build on all that has been achieved since the origin of the school in 1999. Thank you for sharing our story. As you have eloquently described, this has been more than a simple change in our name. The 'rebranding' reflects our enthusiasm and drive to improve and build on past achievements. Although we are not a traditional community school, it is the contributions from our students, parents, teachers, administrators, board and dedicated volunteers who have allowed our vision and mission to flourish. I would like to thank all of our past and present members who have all led to the contributions we have experienced throughout our last 15 years. I can't think of another community I would rather be part of.